It is time to let it out. I would like to ask for your permission to share with you my pain over the loss of my ultimate hero and the biggest supporter of Oiti: on April 25th I lost my adored mother. To better phrase the beginning of this post, I would like to share with you the greatness of my mother’s life. A single mother of two, myself and my dear big brother, who overcame every obstacle to give us a good education and had as main goal to make good people out of us. I want to believe that she succeeded brilliantly. I will always try to honor her effort. Oiti has lost its Godmother, the person who has always supported it with unconditional joy and enthusiasm. When I started the company, she used to help me pack goods, stamp boxes and set booths in fairs. She even covered a few studio rents during tough times. Every time one of my products was featured on a magazine, she cheered me on as if I was a rock-star. She was 61 when she left this world, but laughed and played around as if she was 21. She was the light of so many lives, specially mine. She touched so many hearts. She lived a life dedicated to help every and each person who had ever crossed her path. Her presence enlightened any room. A dear friend, who lost his mother years ago, told me something that I am beginning to understand. He told me that life does not adjust after this kind of loss, instead it changes completely and we have to learn how to create and live a new life. This is exactly how I feel at this point. For that, it is time to thank all my friends and family who are helping me to rebuild my life. To my dear long-time-friends in Brazil and the ones spread around the world, I want to express my deepest gratitude. I love you. Oiti will move on to the next phase in honor of Miss Neida Naves. Everything it will accomplish will carry her love and will, also, be a way of letting her light shine permanently, until the day I will have, again, the greatest pleasure I ever felt in my life: the pleasure of being in her presence. Gratitude is a healing feeling. Thank you all for your love and support. Gostaria de pedir a permissão de vocês para falar da dor pela perda do meu maior herói e a maior fã da Oiti: no dia 25 de abril eu perdi minha fantástica mãe. 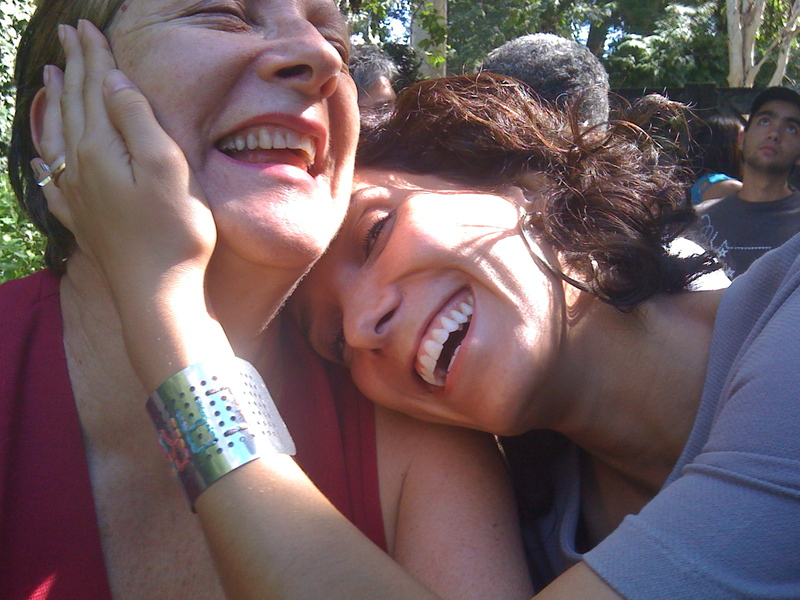 Refazendo o começo desse post, eu gostaria de dividir com vocês a grandeza da vida da minha mãe. Mãe solteira de dois filhos – eu e meu querido irmão mais velho – que superou todos os obstáculos para nos dar uma boa educação e que tinha como maior objetivo fazer de nós pessoas boas. Eu quero acreditar que ela brilhou nessa tarefa. Sempre tentarei honrar o esforço dela. A Oiti perdeu sua madrinha, a pessoa que sempre apoiou essa empresa com alegria e entusiasmo incondicionais. Quando abri a Oiti, mamãe me ajudava a empacotar os produtos, carimbar caixas e montar estantes em feiras. Ela chegou a pagar o aluguel do estúdio em tempos de vacas magras. Toda vez que um produto meu era publicado em alguma revista, ela vibrava como se eu fosse uma rock-star. Ela tinha 61 anos quando deixou esse mundo, mas gargalhava e fazia bagunça como se tivesse 21. Ela era a luz de muitas vidas, especialmente da minha. Ela tocou muitos corações e dedicou a vida a ajudar toda e qualquer pessoa que cruzasse o seu caminho. Sua presença iluminava qualquer ambiente. Um amigo querido, que perdeu a mãe há alguns anos, me disse algo que estou começando a entender. Ele me falou que a vida não se ajeita depois de uma perda como essa, mas que ela muda completamente. A partir daí, temos que aprender a criar e viver uma nova vida. É exatamente assim que me sinto nesse momento. Sendo assim, é hora de agradecer à minha família e aos amigos que vem me ajudando a reconstruir a vida. Aos meus amigos de longa data no Brasil e a todos espalhados pelo mundo, gostaria de expressar minha eterna gratidão. Amo vocês. A Oiti vai passar para a próxima fase em honra de Neida Naves. Tudo que essa empresa realizar estará impregnado por seu amor e será uma forma de fazer a sua luz brilhar permanentemente, até o dia em que eu terei, de novo, o maior prazer que eu já senti na vida: o prazer de estar na presença dela. A gratidão é um sentimento que cura. Muito obrigada a todos por seu amor e apoio.